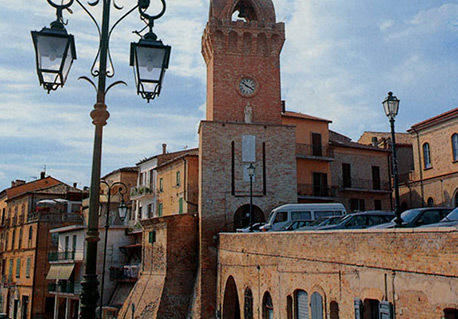 Tortoreto “Alto” born in Roman era with the name of Castrum Salini: even Plinio the Old talks about this city. The core of the town, as it is nowadays, rose during pre-Medieval period. The place, according to Pope Gregorio, was covered by woods and it was perfect to the nesting of the turtle doves: from here comes the name of Tortoreto. The village still keeps nowadays its Medieval feature: a central fortress fenced by tall walls and upon which rises a stunning tower. Striking are the narrow streets that have to be walked in the evening. 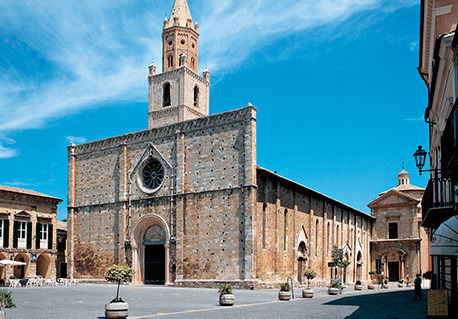 It must be visited the Church dedicated to the Madonna della Misericordia, the one dedicated to S. Nicola di Bari and the Augustinian monastery, where there is also the Church of S. Agostino. Out of curiosity: in August it is held the Medieval historical reconstruction “Il Palio del Barone”. 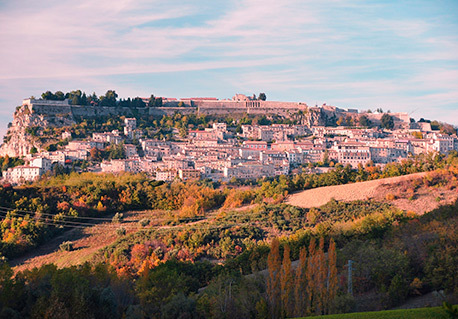 The town lies in the north of the Abruzzo region, between the Salinello and the Tordino rivers. 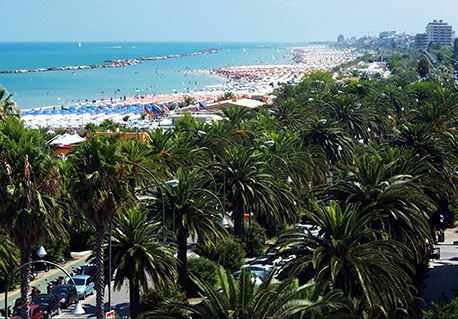 Giulianova is split between the Paese, the historic town up in the hills, and the lido, the more recent development down by the beach. 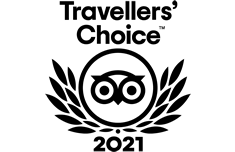 Tourism plays a big part in the town's economy. The town, characterized by several beaches, is a summer retreat for people from large cities like Rome and Milan, as well as German and French tourists. In pre-Roman times, the Praetutii tribe had a settlement there. In 3rd century BCE Romans established a colony called Castrum Novum in the vicinity of Giulianova. 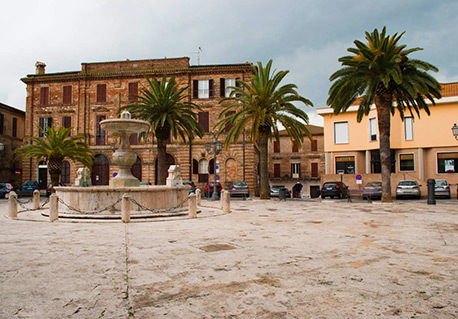 In the Middle Ages, the population of Castrum Novum, then called Castrum divi Flaviani, were moved to the new hilltown of Giulia, founded by the local baron Giulio Antonio Acquaviva. 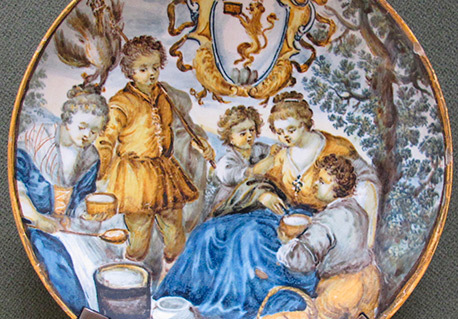 La Grotta di Stiffe was known to the locals for a very long time as Stiffe's Risorgenza (Stiffe's Spring). 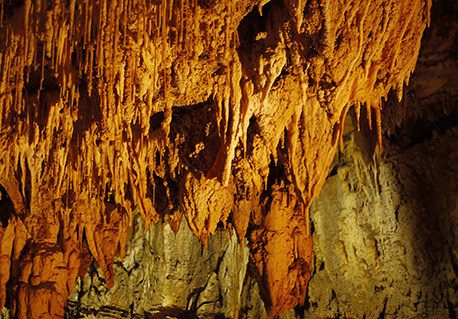 The cave is a river cave, a cave river leaves the Abruzzo mountains through the cave's entrance. The cave entrance lies below a 100 m high overhanging rock face, the impressive view goes from Gran Sasso's mountain range to the L'Aquila valley. The development of this cave took about 10 years, as floods made working conditions extremely difficult. Additional surveys an laboratory tests resulted in strengthening works with riveted joints and cement injections. The first part of the cave is an underground river, the path always just a few meters above the river, sometimes crossing the river on metal bridges. In the Chamber of Silence, the water flows in a deeper level of the cave most of the year. Only when the amount of water rises, the old river bed is still used. The missing water makes this chamber so silent. 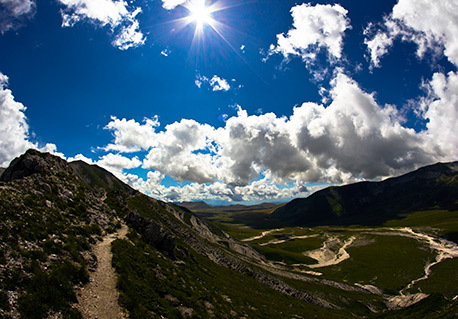 Campo Imperatore is a mountain grassland or alpine meadow formed by a high basin shaped plateau located in the Province of L'Aquila in the Abruzzo region of Italy in the Gran Sasso massif. It is the largest plateau of the Apennine ridge. Known as Italy's "Little Tibet", it is located in the Gran Sasso e Monti della Laga National Park. Campo Imperatore has a tectonic origin shaped by alluviums and glaciers. The plateau, which is 27 km in length and an average of 8 km in width, lies adjacent to the Apennines' highest peak Corno Grande, and Europe's southernmost glacier, the Calderone; also surrounding the plateau are Monte Prena, Monte Aquila, and the Camicia Mountains to the north and Monte Scindarella, Mesola and Monte Bolza to the south. 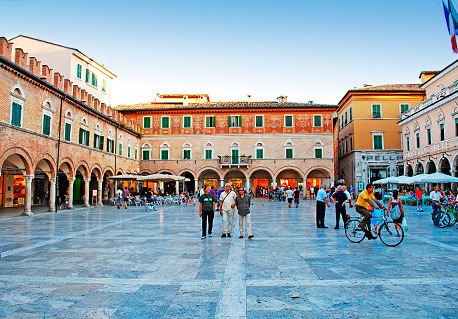 City ​​of great historical and artistic value, such as L'AQUILA (100 km) Teramo (Km 35), Sulmona (130 Km), Chieti (Km 70). Small towns characteristic: Colonnella (Km12) eControguerra (Km 14). To visit different wineries situated along the famous "Wine Route" and the shopping center "Val Vibrata." A Corropoli (Km 10) curiosity: the folk festival's famous summer festivals, and in Nereto Sant'Egidio alla Vibrata (Km 12) curiosity: company stores, knitwear, shirts, Jeanswear. 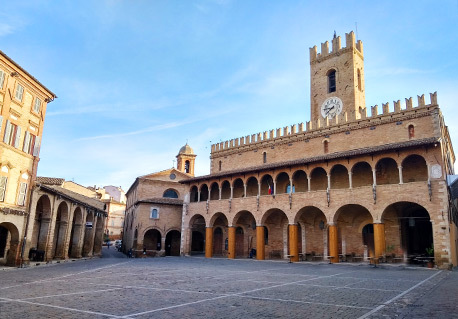 Ascoli was founded by an Italic population (Piceni) several centuries before Rome's founding on the important Via Salaria, the salt road that connected Latium with the salt production areas on the Adriatic coast. In 268 BC it became a civitas foederata, a "federated" city with nominal independence from Rome. In 91 BC, together with other cities in central Italy, it revolted against Rome, but in 89 BC was reconquered and destroyed by Pompeius Strabo. Its inhabitants acquired Roman citizenship, following the developments and the eventual fall of the Roman Empire. During the Middle Ages Ascoli was ravaged by the Ostrogoths and then by the Lombards of King Faroald (578). 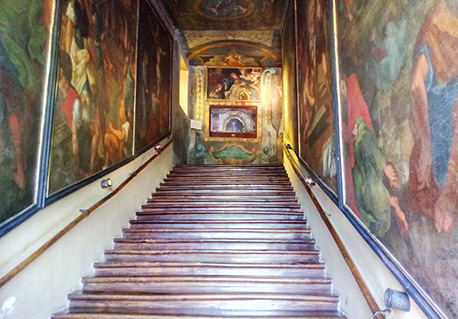 The origins of Offida are debated. In its territory have been found tombs of the Piceni (7th-5th century BC) and Roman remains; however, the town is known only from 578 AD when the population, fleeing the Lombard invasion, founded several castles in the area, included that of Offida. The true first historical mention dates to 1039, when the Abbey of Farfa received the castle of Ophida, being confirmed in 1261 by Pope Urban IV. During the was between the communes of Ascoli and Fermo, Offida sided for the latter. In the early 16th century Offida signed a truce with Ascoli while, in the same period, all the lands of the Farfa Abbey went to the Papal States. San Benedetto del Tronto was a martyr and a soldier born in Cupra during the reign of Roman Emperor Diocletian. Shortly thereafter, following the edict of Constantine in 313 AD, some believers built a chapel around the tomb. 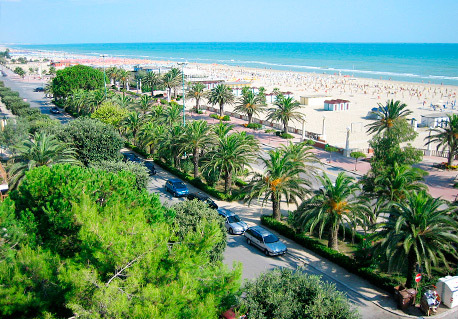 [clarification needed] Since then, San Benedetto has been highly revered by locals. He later built a small church which included an apse facing the east and its entrance facing the west, in accordance with the early Christian tradition that the east, where the sun rises, and the sunrise is symbolic of Christ's resurrection. Historians argue that archaeological findings indicate Roman origins, linking San Benedetto to the ancient city of Alba Picena on the right bank of the Albula river. Loreto is located 127 m (416.67 ft) above sea-level on the right bank of the Musone river. It is 22 km by rail SSE of Ancona. Like many places in the Marche, it provides good views from the Apennines to the Adriatic. Loreto's main monuments occupy the four sides of the piazza: the college of the Jesuits, the Palazzo Comunale (formerly the Palazzo Apostolico), designed by Bramante, with an art gallery with works of Lorenzo Lotto, Vouet and Annibale Carracci as well as a collection of maiolica, and the Shrine of the Holy House (Santuario della Santa Casa). 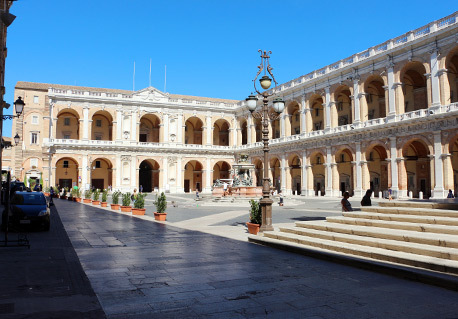 The city has also a massive line of walls designed by Antonio da Sangallo the Younger, which were erected from 1518 and reinforced in the 17th century.